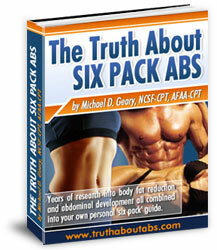 If you have been wondering how to get a six pack, you are not alone. 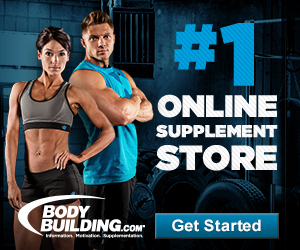 You are one of the millions of people who would like to get ripped. A six pack is the ultimate symbol of fitness. Having biceps and triceps that are bigger and well toned may also be associated with fitness, but it is the abs that tell it all. How to transform a one-pack into a six-pack is not easy, but with hard work and commitment, you can get ripped too. You are probably wondering how you can turn that tummy of yours into a rock-hard pack of six. Well, you are in luck. Here, you will learn all about getting fit. The following are a few basics that you need to know about. If you have a bulging tummy, chances are that you are not eating right. Therefore, I recommend that you cut down on a couple of things that you have been stuffing your body with, and eliminate others completely from your diet. You may want to cut down on your alcohol intake, especially beer. Alcohol prevents your body from functioning optimally. Please note that a six-pack is basically well-toned abdominal muscles. 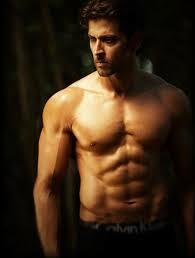 The key to hardening your abs therefore lies in increasing your muscle mass and strengthening your abdominal muscles. You will need lots of proteins, ideally from plants, to achieve this objective. If you are used to taking three meals in a day, try to double that. This should not translate to eating more; just reduce your food portions into six parts and take them every three or four hours. Most people eat right but forget to drink enough water. When exercising, the body loses a lot of water, and this must be replenished through water intake. I recommend that you carry a bottle of water with you at all times to ensure that your body is well hydrated throughout the day. Now that you know what to eat, I will take you through the strict exercise regimen that you must follow to achieve your goal. I think having rock-hard abs should be motivation enough for you to follow this workout program. Now to the challenging, but fun part…. 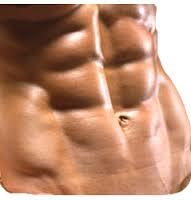 The coveted six-pack is scientifically known as rectus abdominis. 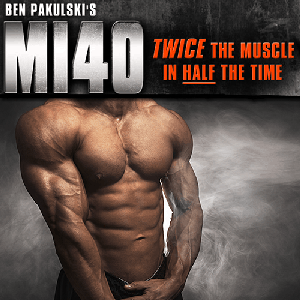 What most people don’t know is that it is actually one muscle tissue that is separated by connective tissues. To get a six-pack, fitness enthusiasts usually divide the abs into two sections, lower and upper. The exercises I recommend here are designed to work both the upper and lower sections. I have discovered that the best time to work the abdomen is after lifting weights, or weight training. Another thing that I have come to realize is that abs can be worked over and over again at high frequency without any side effects. They are endurance muscles, so they can recover quickly, and be ready for another session. In fact, they can be exercised three days a week with no adverse effects to the development of the six-pack. Some people claim that crunches are the best exercises for toning abdominal muscles. Others claim that the pendulum is the most effective. Well, I know for sure that these two exercises are both effective as far as toning the rectus abdominis is concerned. What matters is how you do it, the intensity and frequency as well as duration of each workout. Most people do not know this but pull-ups can also be effective in carving the abdominal muscles. There are two things that connect the upper body to the lower body. They are; the spine and the abdominal muscles. 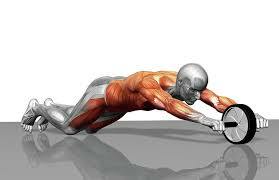 When pulling your body upwards, the abs will be forced to accommodate some of the weight of the lower body. I have found that doing pull-ups with your hands extended slightly wider than your shoulders can be extremely effective in building the rectus abdominis. Like crunches, sit-ups can help to build abs. I recommend that you do half as well as full sit-ups. You can combine them with crunches for best results. While you are still down on the floor, you can do several repetitions of the pendulum. I recommend that you watch videos of these and other abdominal exercises to find out how they are performed.